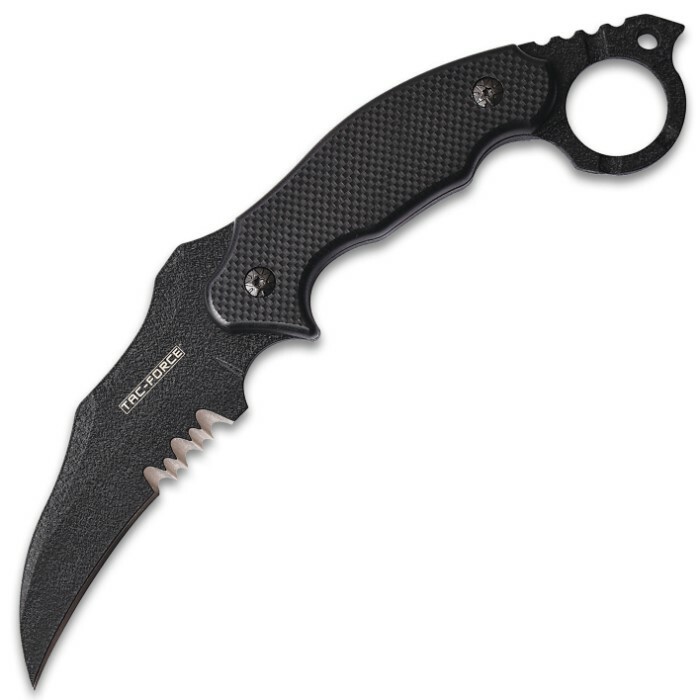 Tac-Force Covert Hawkbill Fixed Blade Knife With Sheath - 3Cr13 Stainless Steel Blade, Black Finish, G10 Handle Scales - Length 9 1/2” | BUDK.com - Knives & Swords At The Lowest Prices! 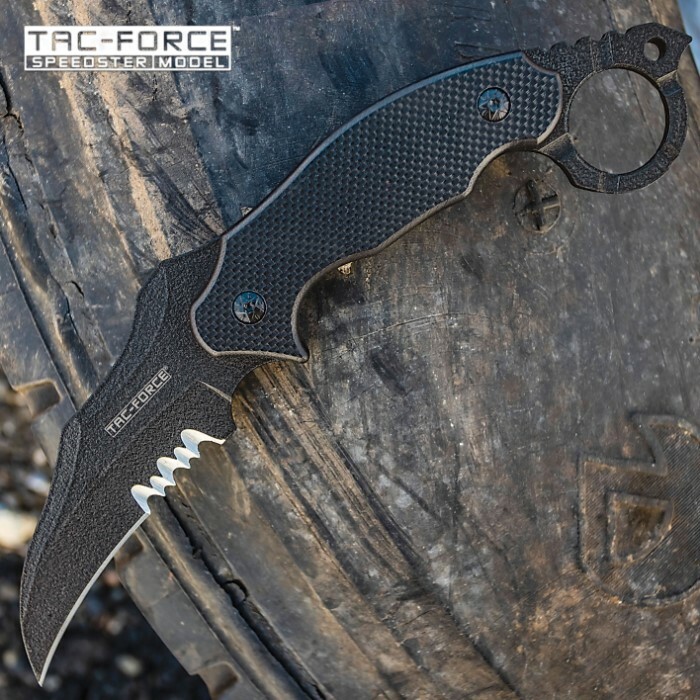 You need to make the Tac-Force Covert Hawkbill Fixed Blade Knife an essential addition to your covert ops gear bag today! You need to make the Tac-Force Covert Hawkbill Fixed Blade Knife an essential addition to your covert ops gear bag today! 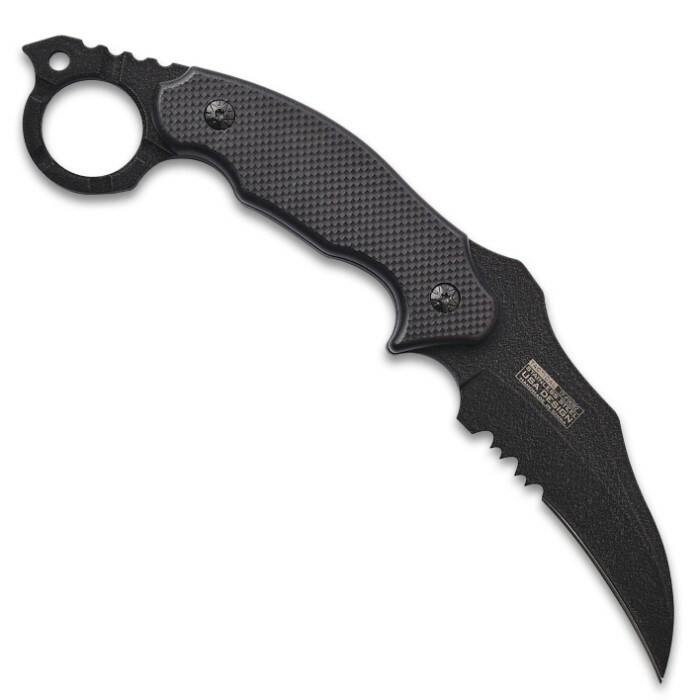 The knife has a full-tang, 4" 3Cr13 stainless steel hawkbill blade with a black, non-reflective finish and partial serrations. The black G-10 handle scales are textured for a no-slip grip and the handle features an open-ring pommel with jimping. 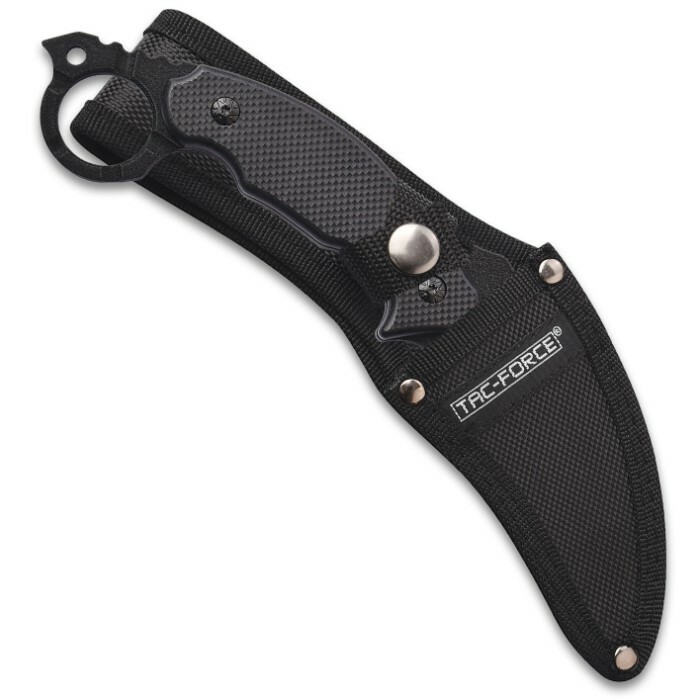 The 9 1/2” overall fixed blade knife can be easily carried and protected in the included heavy-duty nylon belt sheath.